It’s a cycle that seems to repeat every summer season: The typical lawn mower starts the year with dependable power and performance, easily managing the landscaping needs of the early spring months. As the warmest months of the year set in, however, the mower has already been in use for quite some time, and it’s starting to present a few problems. The equipment might be harder to start, or its blades might be having difficulty with producing that perfect, professional-grade cut every week. These conditions, and other common headaches that arise during the middle of the summer, are easily solved with a mower tune-up. 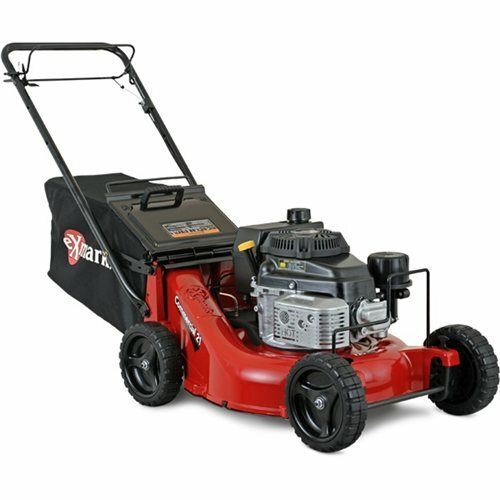 There are several important things to check, clean, and perhaps even repair, to ensure that the mower offers consistent power and performance until the very last days of the summer season. Before getting started with a conventional mower tune-up, equipment owners might want to refresh themselves on basic safety procedures associated with any kind of seasonal maintenance. Make sure that the mower has had time to cool down after recent use, and ensure that any spark plugs are disconnected and fuel valves are closed. Work on the mower in a well-ventilated area that offers a level, solid surface, to guard against fuel spills, oil spills, or unwanted headaches that might arise as a result. Make sure that kids, pets, and other bystanders are inside and away from the maintenance site if their assistance is not needed. With these precautions in place, a safe and effective tune-up can rejuvenate the mower and make it ultimately more useful for the next several months. Give the mower a break: Its most important parts have been working to get rid of thatch, bring grass back to life, and undo winter’s damage after a long and cold start to the year. It’s natural for some of its most essential parts to require a refresh after all of that hard work. The most common areas of focus for a summer tune-up, and the most common procedures to bring the mower back to like-new condition, are as follows. Air and fuel filters are bound to get dirty as they work through early springtime landscaping environments and create a healthier base for summertime growth. The fuel filter should be checked during a mid-season tune-up and, most likely, it should be cleaned with a mild detergent and secured back in place. In some cases, the filter may be beyond cleaning or beyond repair, and an OEM model should be installed instead. Another key filter to check is the air filter, which is almost always the cause of problems that make the equipment harder to start as the warmer months linger on. The air filter should be removed from the mower and inspected for any damage. If the filter is simply dirty, without any major damage, it can be cleaned using a mild dish detergent and a bit of warm water. Wring the filter out and place it back into the equipment in the designated holder, and then move on to other maintenance concerns. Most mower engines require a full oil change after 25 hours of use, and many homeowners will have subjected their mower to just about that number of hours over the course of the spring and early summer months. Remember that any oil change should be conducted using only the oil recommended in the engine’s owner manual. Often this means equipment owners should use 10W30 replacement oil. This oil is the ideal mix for hot environments, and will work well over the next few weeks as the heat continues to increase outdoors. Remember to follow the step-by-step engine oil change guide in the equipment manual, and make sure that any old oil is disposed of in an environmentally safe way. Spark plugs require replacement after 100 hours of equipment use, or once a season, depending on usage patterns. Even if the spark plug hasn’t reached its 100-hour interval for replacement, it’s important to perform a few maintenance routines and checks so that the mower operates well. Equipment owners should clean the area around the spark plug to ensure that no dirt or carbon deposits are preventing a proper spark and excellent engine operation. If the spark plug gap seems a bit off, this mid-summer tune-up is a great time to properly gap the spark plug so that the mower runs well and is easy to start over the next several months. Finally, remember that a precise cut is only possible with sharp, damage-free blades. Tip the mower over as recommended in the instruction manual, and look for any rust, damage, or dull edges. If the blades are simply dull, they can be removed and sharpened either at home or by a qualified professional. If damage or corrosion are present, the blades should likely be removed and then replaced with OEM blades made by the mower’s original manufacturer. ShanksLawn.com offers a wide array of OM parts and services that make a mid-summer mower tune-up easy for equipment owners of all kinds. With parts that fit a variety of today’s most popular riding and walk-behind mower models, it’s easy to keep blades, filters, and the engine itself, running in like-new condition from now until the end of the summer season. This entry was posted in Uncategorized and tagged Lawnmower Maintenance, OEM Replacement Parts, Shanks Lawn Equipment. Bookmark the permalink.